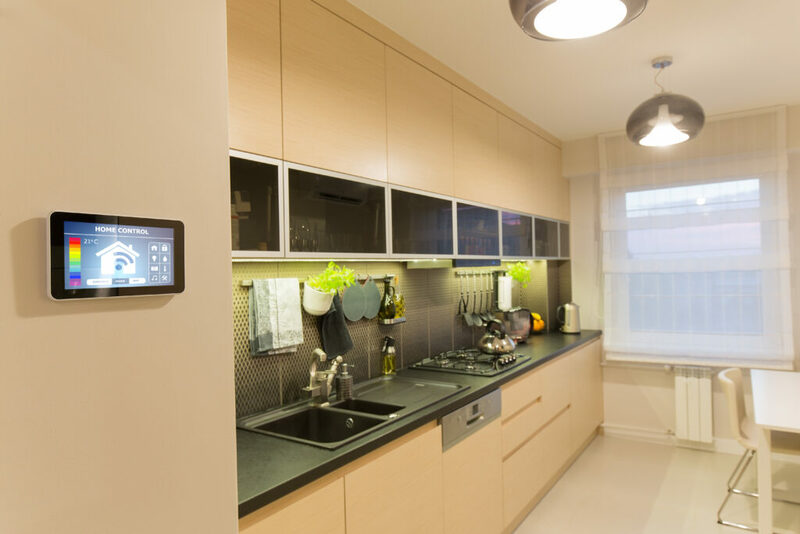 Improve Energy Efficiency – In a recent HouseLogic blog post, author John Riha refers to this as “losing weight” and suggests the first place to start is your HVAC ductwork. Riha claims that sealing and insulating your ductwork can improve the efficiency of your heating and cooling system by 20%. Windows are another way to improve energy efficiency. According to Better Homes and Gardens, energy star windows can cut your fuel bills by as much a $340 per year over drafty, single-pane units. De-Clutter & Maximize Your Storage – Upgrade bedroom closets by installing rods on two levels for shirts and pants and consider adding pullout bins for smaller garments. Increase your kitchen storage space by installing a lazy susan in a corner cabinet. Another fast way to maximize storage is by adding overhead ceiling racks in your garage for luggage, recreational equipment and seasonal decorations or lawn equipment. 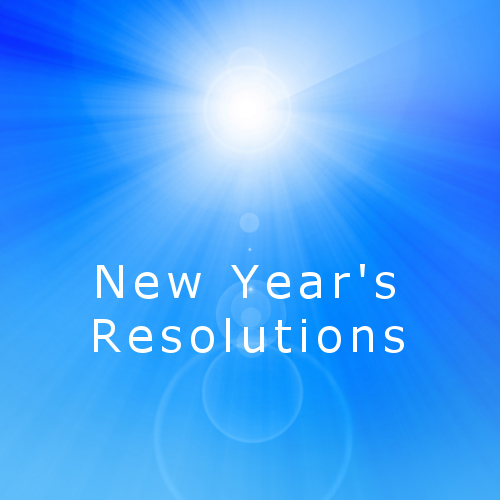 You can make 2014 the year your car fits in your garage. Review Your Roof – Every homeowner’s priority should be keeping their home’s structure safe and sound. If you have a roof that is 30+ years old and two layers thick, bypass fancy kitchen and bathroom remodels and look into a new roof. If you were to put your home on the market, potential buyers feel that a roof replacement is a much bigger issue to overcome than a functional, but dated kitchen or bath. Improve Your Insurance Score – Your insurance score is used to determine your insurance premium. The higher your insurance score, the higher the premiums you will pay. According to HouseLogic, the most effective way to raise your insurance score is to improve your credit score. Paying down balances on credit cards and paying bills on time are the best ways to improve your score, drop your insurance score and lower your insurance premiums. Get Involved – There is no place like home, so consider its safety. Gather a group of your neighbors to discuss a neighborhood watch program. What types of crimes are occurring in your neighborhood? Invite a representative from your local police to come to your meeting and answer questions. Ready to Become a Homeowner? Contact a licensed Inlanta Mortgage loan officer to discuss what home financing option is the best for your unique situation. From no down payment USDA and VA loans, to renovations loans and conventional financing, Inlanta Mortgage offers a solution for almost any home financing need. Find a loan officer near you using our branch locator, or simply apply online and we will forward your application to a loan officer licensed to originate mortgage loans in your state. Our mission is to be the home financing partner that you trust to serve your family, friends and community. Through our family of dedicated mortgage professionals our commitment is to deliver an exceptional experience. Our unwavering dedication to integrity, honesty and ethics is the foundation of all of our relationships. Celebrating its 20th Anniversary, Inlanta Mortgage is a growing mortgage banking firm committed to quality mortgage lending, ethical operations and strong customer service. Inlanta Mortgage offers Fannie Mae/Freddie Mac agency products, as well as a full suite of jumbo and portfolio programs. The company is an agency approved lender for Fannie Mae, FHA/VA, FHA 203K and USDA. Inlanta Mortgage also offers numerous state bond agency programs. Review Inlanta’s mortgage loan programs here. Inlanta Mortgage is a multi-state mortgage banker based out of Brookfield, Wisconsin NMLS #1016. Inlanta Mortgage was named a Top Mortgage Lender in 2012 by Scotsman Guide and has been listed on Mortgage Technology’s Top 25 Tech Savvy Lenders List for the last four years. Have you recently purchased your first home? If so, you might be wondering what you could do to prepare your new home for the upcoming cold. 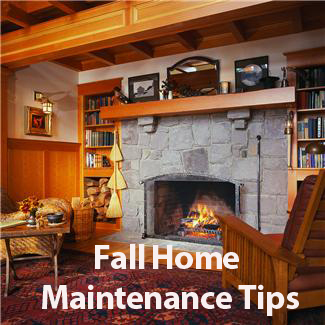 Here are a few fall home maintenance tips to help you care for your new home. Caulk Windows – Seal openings with caulk to can prevent water from getting in. Water seeping through small openings can freeze and cause cracks and mold build up. Check Heating System – Ask a licensed heating system contactor to inspect your furnace, wood stove or fireplace. Check Your Roof – Look for missing or loose roofing shingles. Roofs are the first line of defence in protecting your home. It’s much better to fix a few loose or missing shingles then to discover a leaking roof during a blizzard. Seal Your Driveway – Clean and fix any damage to your asphalt driveway – then seal with a commercial sealer. Sealing your driveway will extend the life of your asphalt. Clean Your Gutters – Jammed gutters can cause ice dams. After all the leaves have fallen, make sure you clean out your gutters and downspouts to prevent damaging ice dams. While you are at it, tighten brackets and inspect joints for existing damage. Clean Yard Equipment – Prepare your yard machines for winter by draining fuel from all gas operated machines. This is also an opportune time to check the quality of your snow equipment before the first snow fall. While this list of fall home maintenance tips is by no means exhaustive – new home owners would be wise to follow them. For homebuyers with homes in need of repairs or renovations – Inlanta Mortgage offers two loan programs that allow borrowers to refinance a home and any necessary repairs or renovations (restrictions apply). Contact an Inlanta Mortgage loan officer for more information on the FHA 203k Rehab Loan program or the Fannie Mae HomeStyle Renovation Loan. Use our branch locator to find a loan officer near you. Inlanta Mortgage is proudly celebrating twenty years in business. Learn more about Inlanta’s twenty year history here. Headquartered in Brookfield, Wis., Inlanta Mortgage was established in 1993. Inlanta Mortgage offers Fannie Mae/Freddie Mac agency products, as well as a full suite of jumbo and portfolio programs. The company is an agency approved lender for Fannie Mae, FHA/VA, FHA 203K and USDA. Inlanta Mortgage also offers numerous state bond agency programs. Inlanta Mortgage is a multi-state mortgage banker based out of Brookfield, Wisconsin. Inlanta Mortgage is proud to be named to the Scotsman Guide Top Mortgage Lenders 2012 list and to be among the Top 100 Mortgage Banking Companies in America in 2012 and Fastest Growing Milwaukee-Area Firms. Inlanta Mortgage was also recently recognized as a USDA Platinum Million Dollar mortgage lender by the USDA Rural Development Guaranteed Rural Housing Program. Every year we celebrate Earth Day on April 22 to demonstrate support for environmental protection. 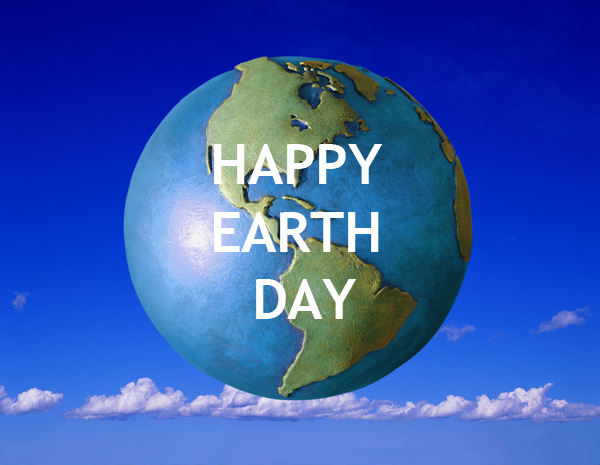 There are many things you do to celebrate the day and help the earth. You can even do some of these activities every day to contribute to a safer and healthier planet! • Donate directly to Earth Day Network – through this network, activists connect, interact with and impact their communities, creating positive change in local, national, and global policies. • E-Waste – You can safely get rid of any electronics collecting dust in your home. These items include: cell phones, computers, laptops, televisions and printers. If not properly recycled, these items end up in landfills or are incinerated and can cause major environmental problems. Visit E-Stewards to find the closest e-waste recycling center closest to you. • Clean Up – Planning on taking a nice spring walk today? Help the environment while you enjoy the fresh air. Take a garbage bag and some gloves with you and pick up any trash you see along your walk. Any little bit will help! • Switch to online bill pay – Save some paper and get your bills delivered to your email and pay them online. It also saves you a stamp and an email is harder to lose than a piece of paper buried in the rest of your documents. And you can set up a payment schedule so you don’t miss any payments! • Plant a tree – Not only does it increase the value of your yard (and your home along with that), but over a 50-year lifetime a tree generates $31,250 worth of oxygen, provides $62,000 worth of air pollution control, recycles $37,500 worth of water and controls $31,2500 worth of soil erosion! Plant one you’ll enjoy and can sit under the shade on a hot day. Today should be a reminder of the things you can do every day to help the Earth. The Earth Day Network is a great place to go to on a regular basis to see what you can do in your everyday life. By doing things like turning off the water while you brush your teeth, filling up your bin every week with recyclables, taking the bus or a bike when you can and switching all the lights in your house to energy friendly bulbs will have a great impact. Inlanta Mortgage offers Fannie Mae/Freddie Mac agency products, as well as a full suite of jumbo and portfolio programs. The company is fully delegated HUD-FHA including FHA 203K, VA, and USDA approved. Inlanta Mortgage also offers numerous state bond agency programs. Review Inlanta’s mortgage loan programs here. Inlanta Mortgage is a multi-state mortgage banker based out of Brookfield, Wisconsin. NMLS# 1016. Inlanta Mortgage is proud to be a recent recipient of a 2012 Top Workplace Award.